This website can be accessed at www.pkwc.co.za (“the Website”) and is owned by Piekenierskloof Wine Company Wines (Pty) Ltd. The website contains links to the Tasting Room and the Online Shop. These Terms and Conditions govern the use of the Website and are binding and enforceable against every person that access or use this Website in respect of any of the links referred to above. By using this Website, users acknowledge that they have read and understood and agree to be bound to these Terms and Conditions. The “Buy Online” option on the Website enables users to order and buy products produced by or on behalf of Piekenierskloof Wine Company including wine and any other products added by Piekenierskloof Wine Company from time to time (the “Products”) from our Online Shop. Users acknowledge and agree that the list of Products may be updated/amended by Piekenierskloof Wine Company at any time in its sole discretion and further that ordering, sale and delivery of Products are governed by these Terms and Conditions. Any user who do not accept these Terms and Conditions may not use this Website in any manner whatsoever including, but not limited to, placing orders for any of our Products. These Terms and Conditions apply to users who are “consumers” for the purposes of the Act. seems as an acknowledgement by the user of a fact. Users are not compelled to create an account on the Website, but may create an account in order to regularly order and buy Products. To register an account, users will be required to provide certain personal information and must provide a unique username and password. The unique username and password may be used to access the Website to order and purchase Products. You agree to notify Piekenierskloof Wine Company immediately upon becoming aware of or reasonably suspecting any unauthorised access to or use of your username and password and to take steps to mitigate any resultant loss or harm. not to display, publish, copy, print, post or otherwise use the Website and/or the information contained herein in any way without the express prior written consent of Piekenierskloof Wine Company. No Products consisting of wine or wine related Products will be sold to any person under the age of 18 (eighteen) years. Any time an order is placed for a wine/wine related Product, you will be required to warrant that you are over the age of 18 (eighteen) years and, in addition, any person receiving delivery of such wine related Products may be required to show identification proving that he or she is of the applicable legal age. Users may place orders for Products by using the “Buy Online” link on the Website. Such order shall constitute your (the Customer’s) offer to purchase the Products selected subject to the terms and conditions referred to below. On completion of your order, we shall indicate our acceptance of such order by confirmation email, at which point an agreement of sale is concluded between Piekenierskloof Wine Company and the Customer. cancel orders in whole or in part as circumstances dictate. In either event, Piekenierskloof Wine Company shall not be liable for any losses or damages suffered by the Customer as a result of such refusal or cancellation and shall only be liable to refund monies already paid by the Customer. Piekenierskloof Wine Company shall take all reasonable efforts to maintain correct prices on the Website. However, should errors occur and items are offered at incorrect prices, Piekenierskloof Wine Company shall not be obliged to sell Products at such incorrect prices and Piekenierskloof Wine Company’s liability shall be limited to a refund of monies already paid by the Customer. All prices quoted on the Website are in South African Rand (ZAR), and include Value-Added Tax (VAT). Prices quoted are per bottle or per case, as indicated. All prices posted on the Website are exclusive of delivery costs, and delivery costs will be stated separately in our confirmation of your order which may vary daily and for each order. Payment is accepted via credit card (Visa, Master Card). Where payment is made by credit card, we may require additional information in order to authorise and/or verify the validity of the payment. Piekenierskloof Wine Company may reject any order in respect of which the required information is not provided. Credit card transactions will be acquired for Piekenierskloof Wine Company by PayGate (Pty) Ltd (“PayGate”). PayGate uses the strictest encryption; go to https://www.paygate.co.za/ to view their security certificate and security policy. No credit card details are stored on the Website and will be kept separate from other Customer information. Orders may be cancelled within 24 (twenty four) hours of placing the order by completing the cancellation form found on our Website or emailing us at info@pkwc.co.za or calling us at ++27 (0) 22 921 2233. An order is cancelled once you have notified Piekenierskloof Wine Company in writing or by telephone in accordance with clause 9.1 above and have received our confirmation of receipt of your cancellation notice. If you have already paid for your order and have not yet received an email notifying that your order has already been shipped, you will be refunded in full. If you have already paid for your order and have also received an email notifying you that your order has already been shipped, then we reserve the right to charge a deduction rate equal to 10% of the purchase price for administration expenses. Piekenierskloof Wine Company reserves the right to debit your payment card for the delivery fees in respect of any late cancellations, in addition to the administration charge referred to above. Any order placed as a result of direct marketing may be cancelled without penalty/charge within 5 (five) business days after the later date of the date on which your order is confirmed by Piekenierskloof Wine Company or delivery of the Products to your nominated address. Products that have been delivered may be returned to Piekenierskloof Wine Company at the risk and expense of the customer. 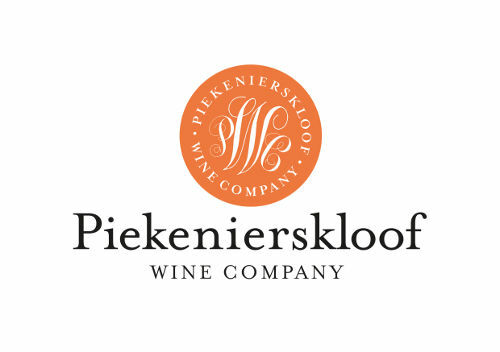 Piekenierskloof Wine Company shall refund the purchase price in full within 15 (fifteen) business days after receiving the notice of cancellation or receipt of returned Products. Delivery of Products as per confirmed orders will be made to the nominated address set out on your order. Delivery usually takes place within 10 (ten) working days from confirmation of payment or such other period as stipulated in our confirmation email. All deliveries made will be by courier directly to your nominated address unless otherwise stated in our confirmation of order. On delivery to your nominated address you shall be entitled to examine the Products for the purpose of ascertaining whether you are satisfied that the Products are of the type and quality reasonably contemplated on placing your order and complies with the description provided therefore on the Website. If the delivery contains a larger quantity of Products than was ordered, or consist of some of the Products ordered together with Products not ordered, you may reject delivery of all Products, or accept the delivery of all Products and pay the purchase price for the additional/incorrect Products or accept delivery of the correct Products and reject the incorrect Products. All Products delivered must, if accepted by you, be signed for by you on delivery. If no one is available at the nominated address when delivery is attempted, the Products will be retained by the courier, in which case notification of the attempted delivery will be given. Should the Products ordered be returned to our premises, any further delivery attempts will also be at your cost. Piekenierskloof Wine Company will not be liable for any loss occasioned by any delay in the delivery of any order, nor for any loss, damage or misplacement of any Products ordered after delivery has been made to your nominated delivery address. Products are only insured by us up to the point of delivery. Risk in and to the Products will transfer to you upon completion of delivery at your nominated delivery address. Your satisfaction is our main priority. If, for any reason, you are dissatisfied with the delivery of Products, please contact us and return the Products at your cost within 10 (ten) days of delivery of your order. If the Products were defective or does not comply with the description thereof in any respect when delivered to you, we will issue a replacement, or refund you the price of the Products, as well as the cost of delivery to return the Products within 30 (thirty) days from receipt of returned Products. Unfortunately, any instance where the Products do not meet personal preference will not be regarded as “defective” Products and Piekenierskloof Wine Company cannot replace/refund you in such instance. You are more than welcome to contact us for any advice on wine selection prior to purchase. All Products delivered and accepted by you must be stored in accordance with the instructions issued by Piekenierskloof Wine Company and/or be used prior to the indicated expiry date. Provided these provisions are complied with, any Products that do not comply with the quality as described may be returned within 6 (six) months of delivery at our expense and we shall refund the purchase price paid or issue a replacement. All returns are subject to the further provisions set out in our Returns Policy, also available on our Website. All the Products displayed on the Website are subject to availability. In the event of a particular Product included in your order not being available, we will contact you to suggest an alternative Product. You are then entitled to accept the alternative(s) or such items as can be correctly delivered, or cancel your order. Special promotions may be subject to certain conditions, including availability and limited offer stipulations. Piekenierskloof Wine Company reserves the right to discontinue, or change, the specifications of our Products from time to time without notice, or to adjust our prices in which event you will be informed thereof at the time of confirmation of your order. Users may, from time to time, receive information regarding new Products/promotions available on our Website. Should you not wish to receive any such notices, please send us an email at info@pkwc.co.za. 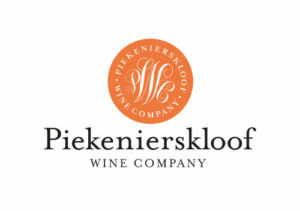 Piekenierskloof Wine Company may, from time to time, make physical or electronic gift vouchers or promotional coupons or discounts available for use on the Website towards the purchase of Products. The use of such Vouchers and Coupons shall be subject to the Vouchers and Coupons Terms and Conditions, also available on our Website. Customers may access a full record of their transaction/purchase history by logging into their account on our Website. Records shall be maintained for a period of 12 (twelve) months. To the extent permissible pursuant to applicable law, Piekenierskloof Wine Company disclaim all warranties of any kind, either express or implied, including but not limited to fitness of our Products for a particular purpose. No oral or written information provided by us shall create a warranty, nor shall you rely on any such information or advice. Whilst Piekenierskloof Wine Company takes reasonable measures to ensure that the content of the Website is accurate and complete, Piekenierskloof Wine Company makes no representations or warranties, whether express or implied, as to the quality, timeliness, operation, integrity, availability or functionality of the Website or as to the accuracy, completeness or reliability of any information on the Website. Although Products sold from the Website may, under certain specifically defined circumstances, be under warranty, the Website itself and all information provided on the Website is provided “as is” without warranty of any kind, either express or implied, including, but not limited to, the implied warranties of merchantability, fitness for a particular purpose, completeness, or non-infringement, as may be allowed in law. This Website may contain links or references to other websites (“Third Party Websites”) which are outside of our control, including those of advertisers. These Terms and Conditions do not apply to those Third Party Websites and Piekenierskloof Wine Company is not responsible for the practices and/or privacy policies of those Third Party Websites or the “cookies” that those sites may use. Piekenierskloof Wine Company may, in its sole discretion, change these Terms and Conditions or any part thereof at any time without notice. However, the Terms and Conditions published here at the time when a specific order is placed will govern that specific order and all matters incidental to the specific order, notwithstanding any amendments which Piekenierskloof Wine Company may subsequently make to these Terms and Conditions. The contents of the Website, including any material, information, data, software, icons, text, graphics, lay-outs, images, sound clips, advertisements, video clips, trade names, logos, trade-marks, designs and service marks which are displayed on or incorporated in this Website (“Website Content”) are protected by law, including but not limited to copyright and trade mark law. The Website Content is the property of Piekenierskloof Wine Company, its advertisers and/or sponsors and/or is licensed to Piekenierskloof Wine Company. Users will not acquire any right, title or interest in or to the Website or the Website Content. Piekenierskloof Wine Company shall not be liable for any direct, indirect, incidental, special or consequential loss or damages which might arise from your use of, or reliance upon, the Website or the content contained in the Website; or your inability to use the Website, and/or unlawful activity on the Website and/or any linked third party website. You hereby indemnify Piekenierskloof Wine Company against any loss, claim or damage which may be suffered by yourself or any third party arising in any way from your use of this Website. Piekenierskloof Wine Company will use reasonable endeavours to maintain the availability of the Website, except during scheduled maintenance periods, and are entitled to discontinue providing the Website or any part thereof with or without notice to you. Piekenierskloof Wine Company may in its sole discretion terminate, suspend and modify this Website, with or without notice to you. You agree that Piekenierskloof Wine Company will not be liable to you in the event that it chooses to suspend, modify or terminate this Website other than for processing any orders made by you prior to such time, to the extent possible. These terms shall be solely and exclusively governed by and construed and interpreted in accordance with the law of the Republic of South Africa. If any of these terms or conditions are held by a court of competent authority to be unlawful, invalid or unenforceable, in whole or in part, then such terms or conditions will be regarded as severable, and will not affect the validity of the remaining terms and conditions which will continue to be valid and enforceable to the fullest extent permitted by law.